Halfway into the 1949 model year, the Specials received all-new bodywork, the first fully postwar design for the series. New was also the 40D-series, a better equipped version called the Special DeLuxe. The engine remained the 248 cu in (4.1 L) which had been used since 1937, but for 1951 this was replaced by the larger "Fireball" straight-eight. A two-door hardtop coupe was also new for 1951. 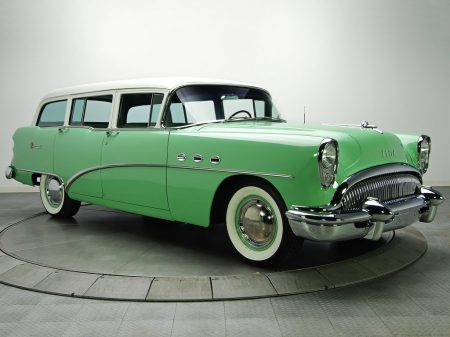 The 1954 Specials had an all-new body and chassis, much wider and lower, and were now equipped with the all-new, more powerful "Nailhead" V8 engines. Page rendered with 7 queries (and 0 cached) in 0.566 seconds from server 48.